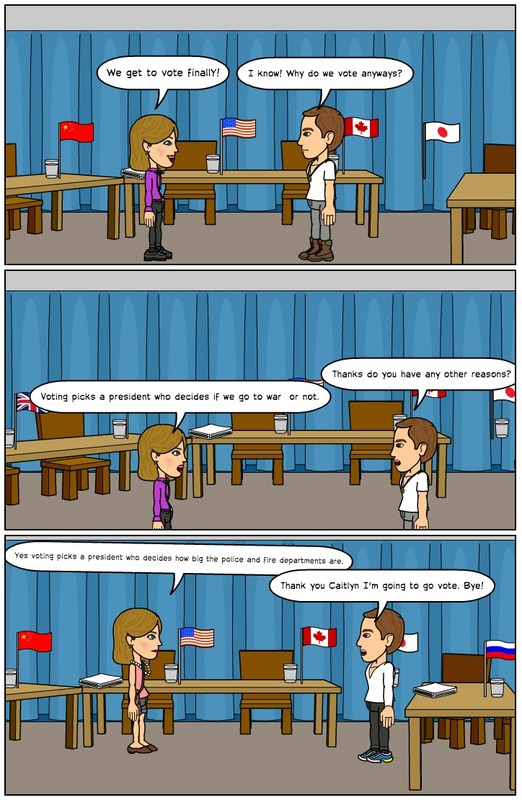 Due to the upcoming presidential election, lately in Social Studies we have been learning about why it's important to vote and how everybody's vote can make a difference. 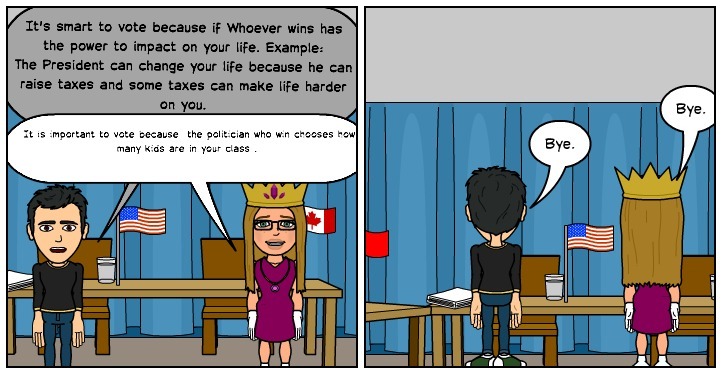 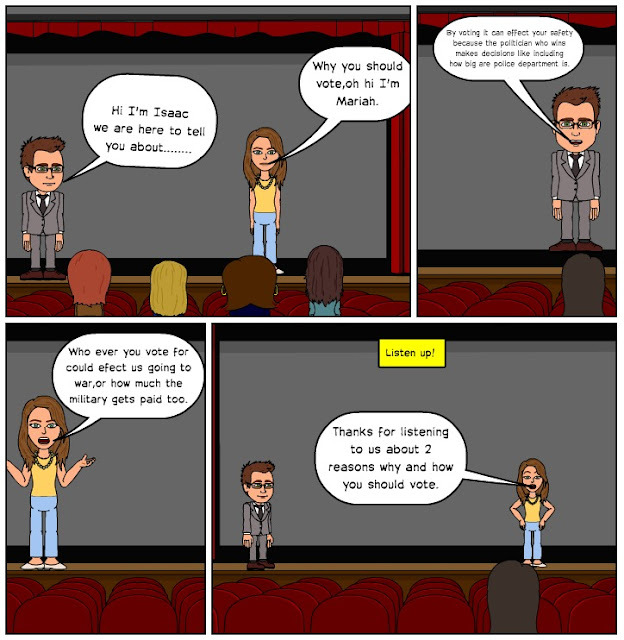 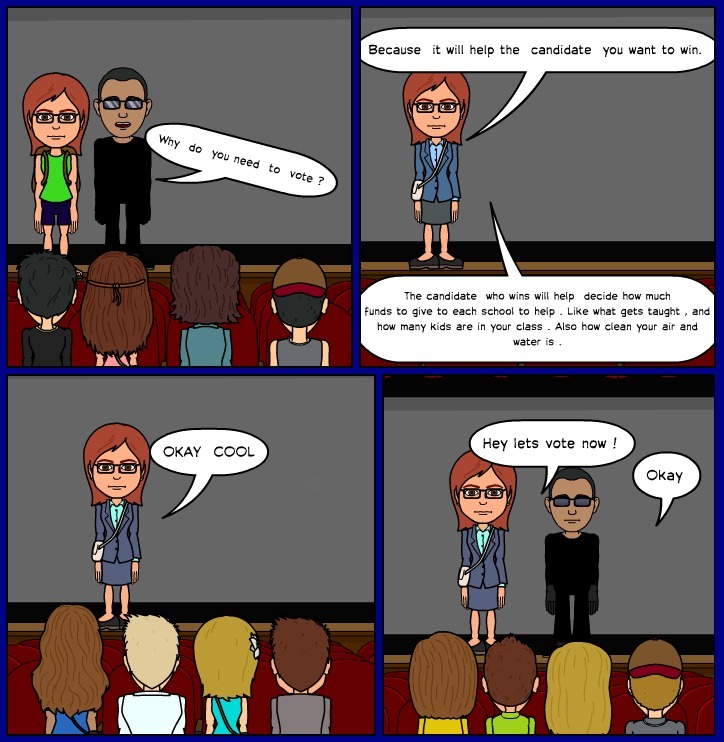 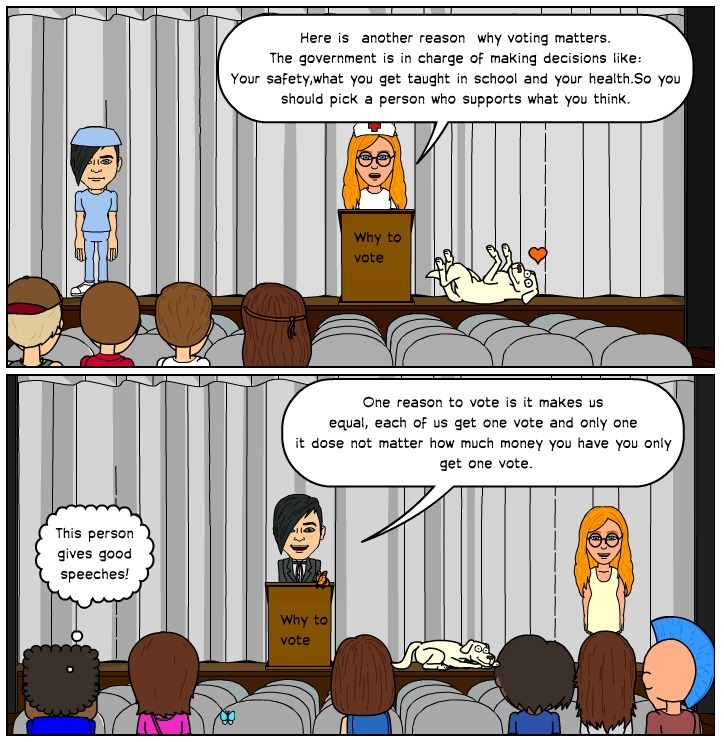 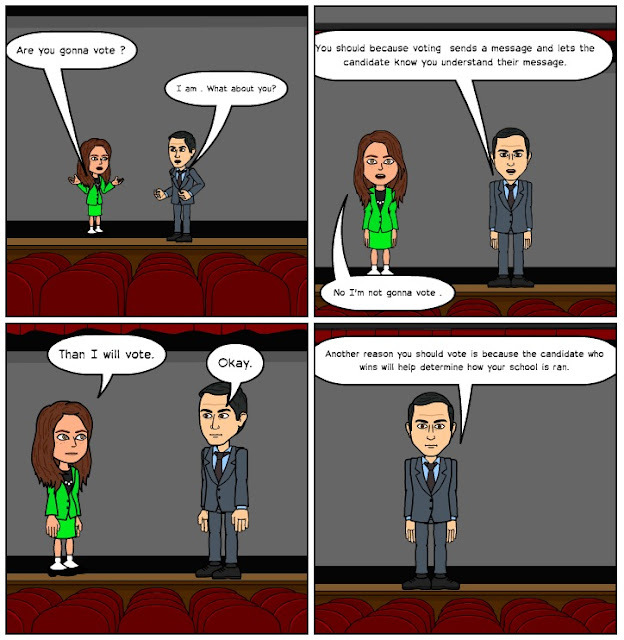 To help show what we've learned, we collaborated with a partner to create a comic on the importance of voting. Some of us even included information about the voter requirements in the United States. Great job on the cartoons gang. 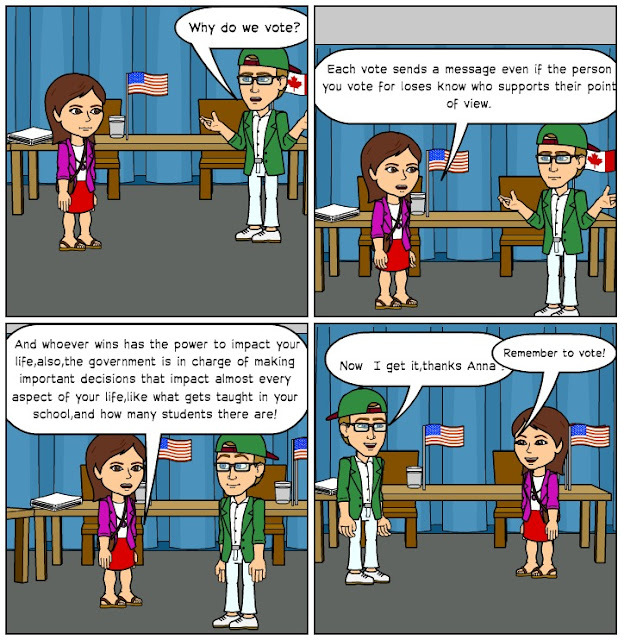 I hope you encourage all of your friends and relatives who are old enough to be sure and vote Tuesday. 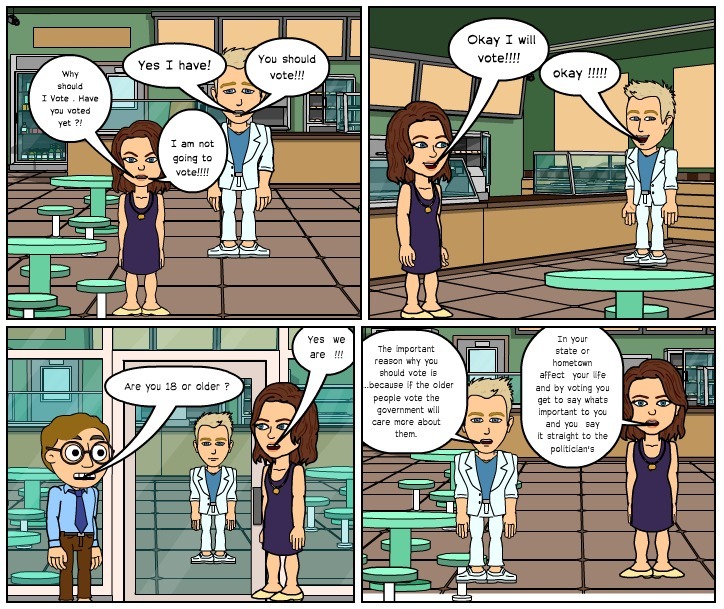 I will share these with some of my high school kids who are 18 and remind them to vote! Comics: "What We're Thankful For"